How did Spotify get to where it is today? Did you know that Spotify, in its earliest stages when it was in its beta phase, used pirated MP3 files? We all know why would the people behind Spotify would do that (to increase traffic just in case you didn’t know) and in most cases, it would be fine. Except that Spotify has always stood against piracy and pirates. In fact, new reports in the media suggest that Spotify even used MP3 pirated files from torrent sites such as The Pirate Bay. Regardless, we all know what’s going to happen now. Even though the likes of The Pirate Bay get taken down on a regular basis, no one is going to bother to do the same to Spotify. Because it is a huge technology company. Technology companies, even though have become notorious for corrupt behind-the-scenes practices, continue to grow and eat up what’s left of the competition in any and all given industries. Or maybe that’s what Spotify’s PR team would want us all to believe. Just like Google wants us to believe it is changing the world with its world class online “free” products and other “moonshot” projects. Most people who listen to music on the internet identify Spotify as the first online company to “convert” pirates. By that, we mean that according to Spotify, the company has done a lot for the music industry. By bringing thousands of pirates and file sharers into the business of “pay for your music”. Moreover, Spotify also gets credited with streamlining the process of finding and subscribing to music for online users. In fact, some reports say that the company has converted, not thousands, but millions of people who used to share copyrighted files on the internet before. Not according to Rasmus Fleischer. It looks like Spotify used some less than “official” techniques to “convert” pirates. Rasmus Fleischer is a writer and a researcher and according to him, Spotify isn’t as clean as it wants people to believe it is. According to him, Spotify used pirated MP3 files to populate its website when it started out almost a decade ago. 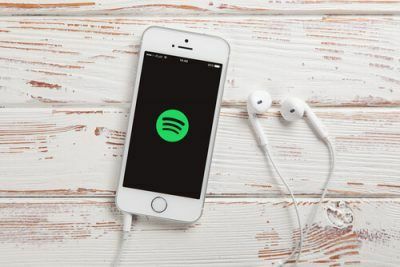 He also says that among the files Spotify made available to users, in the beginning, could only be found online on sites like The Pirate Bay. So what’s the difference between The Pirate Bay and Spotify? Right now, the two couldn’t be more apart. As mentioned before, that wasn’t always the case. There are two kinds of pirates. The first type never quits pirating. While the other type does. At some point when given the right incentives. With that said, it is probably true that the first type of pirates are bigger in number than the second type of pirates. In other words, most pirates will never give up piracy. The lure of free music along with other copyrighted material on the internet is just too great for some of these pirates. And that’s why they never bother to look at the alternatives which might not be as painful as some pirates imagine. 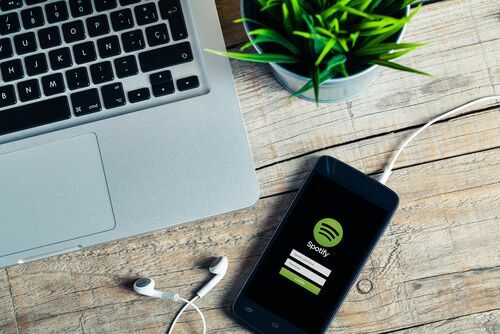 Despite that, Spotify has indeed managed to change the habits of millions of pirates when it comes to downloading copyrighted content from the internet. And all of that “millions of converted pirates’ change has come in the last decade or so. At least in the beginning, we can say for sure that both business models tried to attract online users by any means necessary. As indicated earlier, Spotify came into existence about a decade ago. Back then, there wasn’t much to the online music industry in terms of subscribers and revenue. And perhaps that’s what forced Spotify to adapt a little less than legitimate practices to get ahead of the competition. To put it another way, the streaming service made use of tactics that were then (and till now) only associated with piracy websites. Do we really need to remind everyone that Daniel EK, who is the CEO of Spotify, used to work with Ludvig Ludde Strigeus? Now, who is Ludvig Ludde Strigeus? IN short, he is the creator of uTorrent. uTorrent, as we all know, is mostly used by online users to download copyrighted material from the internet. Which is of course piracy. Regardless, both Daniel and Ludvig worked on the uTorrent technology before both of them decided that it was the best time to sell uTorrent to BitTorrent Inc.
After selling uTorrent to BitTorrent, the two started their work on Spotify. A little while later in an interview given to TorrentFreak, they revealed that they intended to attract pirates to their new service. Spotify representatives told TorrentFreak that Spotify was a new way of enjoying music. And that the company believed that Spotify provided a viable alternative to the rampant music piracy. Furthermore, they told TorrentFreak that according to Spotify the way forward was to create a service that was better than piracy. That was the only way Spotify could attract and then convert users into a legal and sustainable alternative. This not only reduced piracy but it also enriched the overall music experience for the audience as well as the creators of that music content. Spotify is now clean and legit. But this wasn’t always the case. It’s not like the technology behind Spotify was anything different or unheard of. In fact, many reports in the media believe that the technology behind the company was a familiar one. What do we mean by “familiar” in this context? Well, it means that overall business model. Pirate platforms, back then, operated via a very specific business model. That business model was to use a peer-to-peer system in order to share a large number of files that everyone could access via a special software. Spotify operated on a similar peer-to-peer system. This system continued to grow until it became one of the biggest system of its kind in the online world. Unfortunately, it got shut down back in the year 2011. Spotify shut down its peer-to-peer network and continued to move forward. Doesn’t seem like there is a problem in this equation. Piracy websites don’t just make money by having people visit the site to download files. IN other words, piracy websites show users ads. Every ad impression makes the piracy site some amount of money. That amount of money may not be huge but given there are millions of users on the site per month, the final revenue amount does become significant. Piracy sites also allow users to have an ad-free experience. Most of the piracy sites do that via offering premium accounts. Spotify did a similar thing as well. It’s earliest versions were made available to the public for free. Of course, advertisements formed the basis of the earlier Spotify website. Spotify’s biggest strength as a platform was its user base and its advertising model. The company seemed desperate to convert a whole generation of users who did quite understand why would anyone want to pay for their music when it was available for free on the internet. Some pirates did leave piracy for Spotify. But not for the reasons you might suspect. Recent reports in the media have revealed that Spotify benefited from the piracy model as well. Particularly during its earliest years. 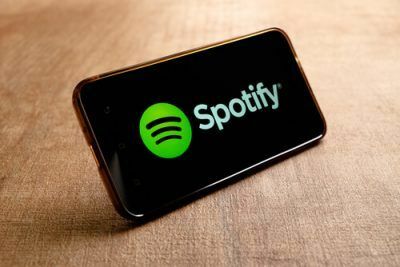 An unknown Pirate Bay figure who worked with the site in its early days revealed a couple of days ago that Spotify indeed made use of free content that was available on the internet on other sites. Rasmus Fleischer is considered to be one of the earliest members of Piratbyran. Piratbyran is the famous Swedish piracy website. It is also known by the name of piracy bureau. As mentioned earlier as well, Rasmus Fleischer was involved in a lot of other projects apart from Piratbyran. One of those projects was The Pirate Bay. In other words, Rasmus Fleischer can be considered to be one of the key personalities behind The Pirate Bay. But as years went by, Rasmus morphed himself into a thoughtful writer. He also became a researcher and a musician. Among many of his talents, he also debates and has a Ph.D. in music. He completed his Ph.D. thesis in 2012 and the title of his thesis was “music’s political economy”. Now, Rasmus is a part of a five-man team and is busy writing a book that details the earlier period of Spotify. The book itself is titled “Spotify Teardown – Inside The Black Box of Streaming Music”. What’s the aim of the book? The book’s purpose it to shed some due light on the history of Spotify. Moreover, it also aims to details some of the inner working of the now ubiquitous online music service. Along the way, the book will do its best to spill beans on some of the best Spotify secrets. Rasmus gave Sweden’s DI.se an interview recently and talk about his new book. He revealed that Spotify used some shady practices during its earliest beta. What kind of shady practices? Rasmus says that the online music streaming company used copyrighted music without a license and kickstarted the online music platform with its help. He said that Spotify’s beta version was originally a pirate service. He also said that Spotify was distributing MP3 files that the employees happened to have on their hard drives. Perhaps, this is a good time to mention, that many people have theorized about Spotify’s illegal use of MP3s before as well. In fact, the idea that Spotify used illegal MP3 files to attract customers to its site has been part of the rumor mill for many years. Some people, who accessed the online music service in its early data have reported that they downloaded tracks that had Scene labeling along with tags and formats. For those who don’t know, Scene labeling along with tag and formats are basically tell-tale signs that the content in question is not official. Either it is not official or the music company obtained the content in an unofficial manner. Of course, proving such as theory is always difficult. And since no proof has ever been given against Spotify, this theory has remained what it is. And it is only now that Fleischer has revealed something that may be used as proof of piracy. Rasmus said that he is certain that Spotify used music files that were obtained from piracy sites. Not only that, he said, but Spotify used files from the most known piracy site of all time. How Does Rasmus Know So Much? As mentioned before, Rasmus isn’t just a writer. And thus, he revealed to reporters, that his music band decided to release their music album on The Pirate Bay a few years ago. He also said that his music band did not use the usual official channels to spread their music album. Mainly, that his band’s music started to appear on the beta service of Spotify. Fleischer recalled that he thought it was slightly funny. He further said that he emailed Spotify and asked the representatives there how they obtained his band’s music. 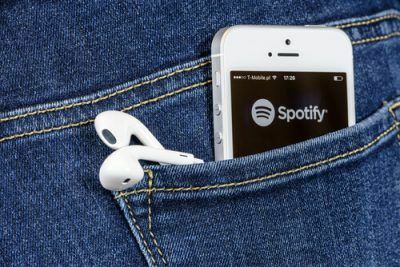 The representatives from Spotify said that the company will use any music that it finds during the test period. Remember when we told you that Spotify believes that it attracts pirates not because it is simply good, it attracts them because attracting pirates is built into the company’s DNA? Maybe we all misunderstood what the company meant. Regardless, it doesn’t change the fact that Spotify used to pirate music to tempt pirates with the same product that piracy websites used. And perhaps no one should be surprised about this fact. Especially given the fact that Spotify doesn’t really consider pirates its enemies. The company’s attitude towards pirates and piracy has always been pragmatic. In other words, there will be very few people who would call Spotify a hypocrite at this moment in time. The streaming platform has used every bit of resource it could use to get ahead and turn the business into such a successful company. Fleischer also believed that the success and exponential growth of Spotify can be directly linked to the downfall of The Pirate Bay. Of course, the downfall of The Pirate Bay was anything but permanent. But it is true that after The Pirate Bay got raided by law enforcement agencies in 2006 and was slapped with multiple lawsuits, Spotify grew even more rapidly. Fleischer also explained that the entire Spotify beta period and its early launch history was in perfect synchronization with the bad fortunes of The Pirate Bay.